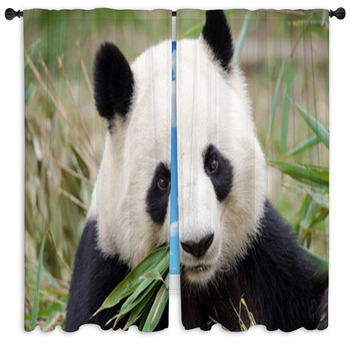 The lovable and mysterious panda is one of natures most intriguing animals, it looks almost out of place in nature and is incredibly rare. 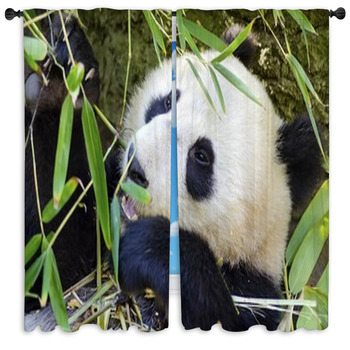 If you've always wanted to spend some time with them, use our panda window curtains to get up close and personal to your very own panda bear companions. 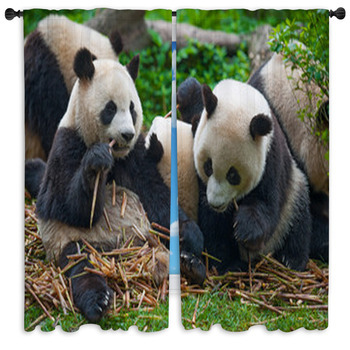 They are the subject of much Eastern folklore and find themselves as symbols for the magical mystery of the natural world. 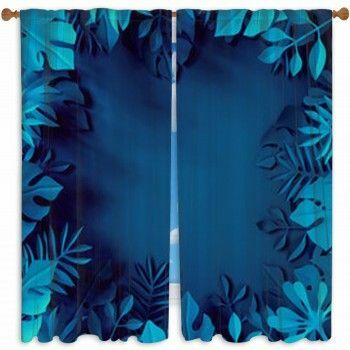 If you're a fan of Japanese Anime, you're surely acquainted by this unique animal that shows up on our custom size window curtains in many different styles. 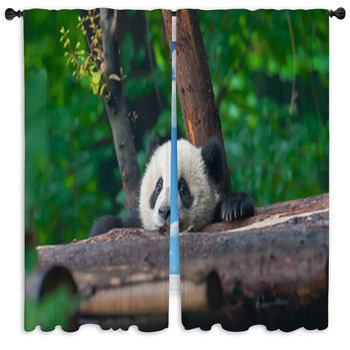 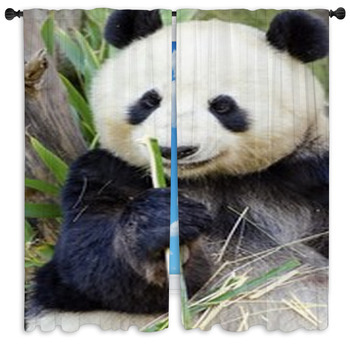 As sunlight comes through your windows have it set aglow your new window drapes and valences with a detailed photograph of a beautiful panda bear munching on bamboo leaves in an emerald green forest. 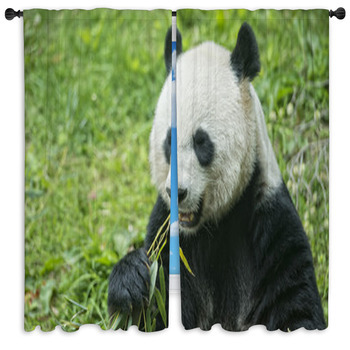 Their always calm demeanor gives them a truly unique allure unlike any other animal. 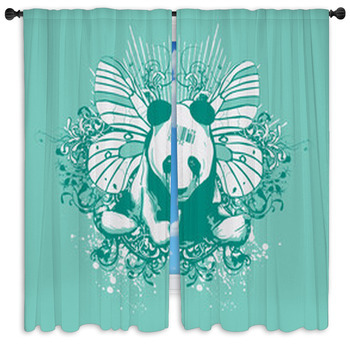 The playful side of panda is shown on our custom size window curtains with fun cartoon illustrations. 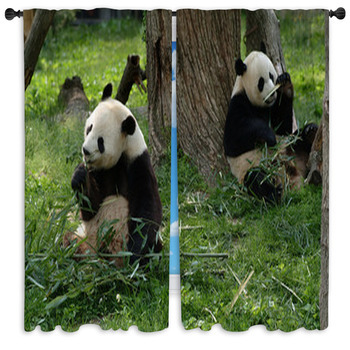 These drawings show them playing in the forest with their families and giving absolutely adorable looks at one another. 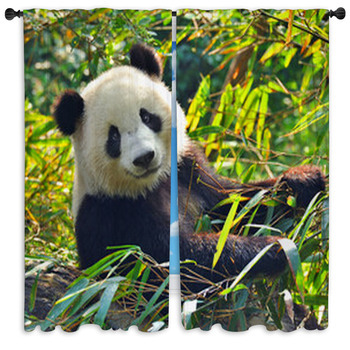 A photograph of a six month old panda with sparkling eyes is sure to bring a warm smile to your face as he sits lazily on the grass. 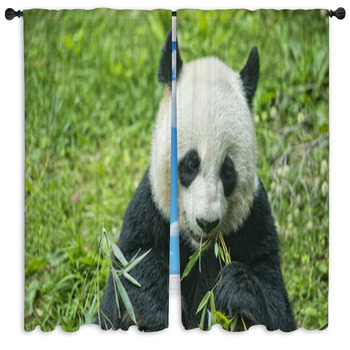 Just because they are a bear doesn't mean they are frightening, children particularly love this fun and cute animal of mythic proportion. 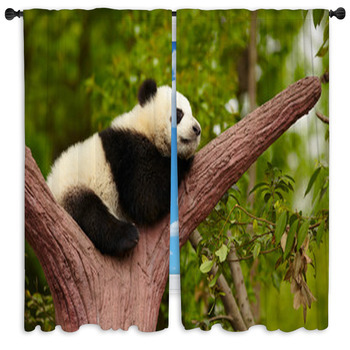 Decorate your young child's room with the images they love by using our window drapes and valences near their brand new panda bedding, panda wall murals and customized crafts and furnishings made from our panda fabric. 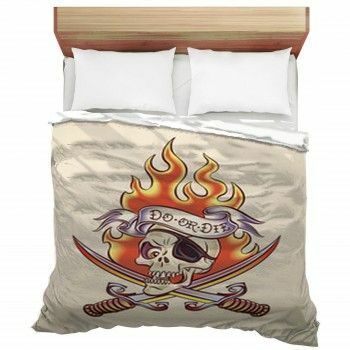 You can always personalize them with custom text messages to make it an extra special design theme. 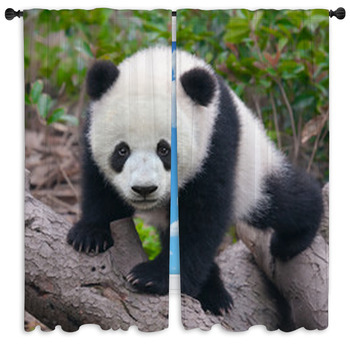 Don't hide your love for these adorable black and white panda bears, spend some time with them whenever you glance out your window.